There’s nothing quite like walking past your garden on a breezy day and smelling the sweet scent of your flower bed. It’s one of the reasons I got into gardening – nothing compares to it! Aside from being beautiful and decorative, a fragrant flower can charm an entire neighborhood with its varied notes of fragrance. 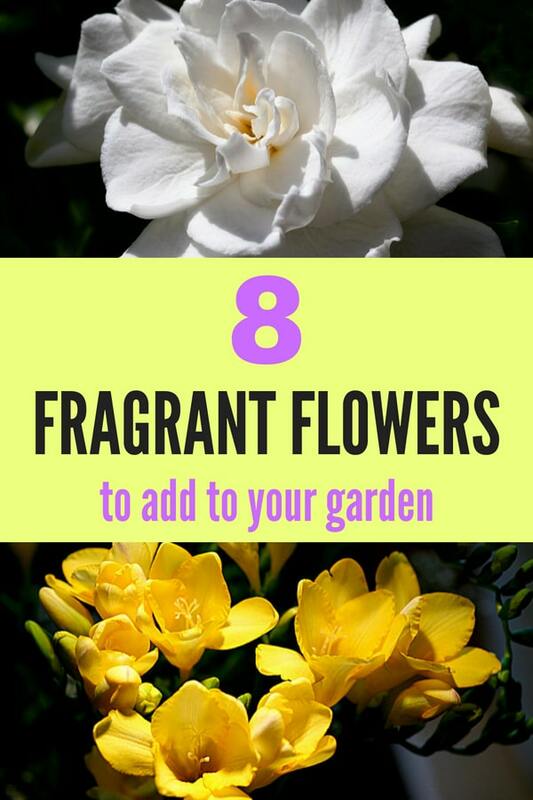 If you’re starting a garden in your yard and are hoping that your flowers fill your house with lustrous fragrance, then you should learn which flowers actually produce a strong scent. 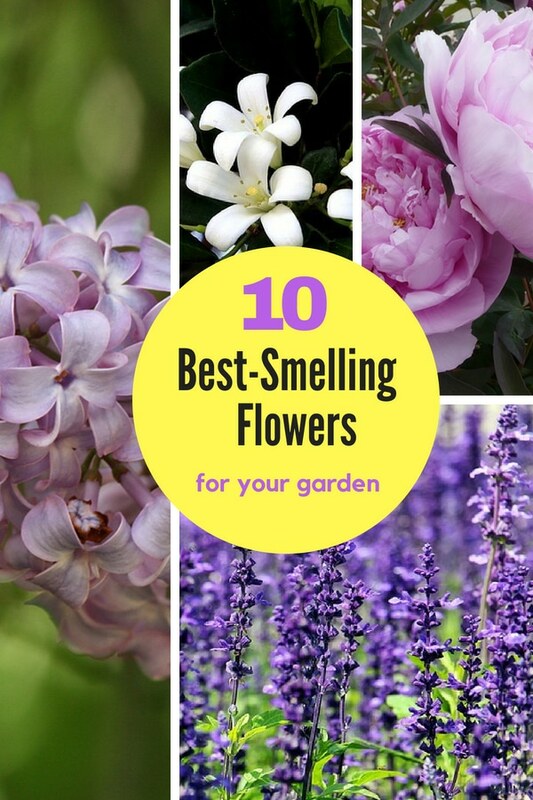 After all, you don’t want to plant flowers in your yard only to discover that they don’t give off a scent! 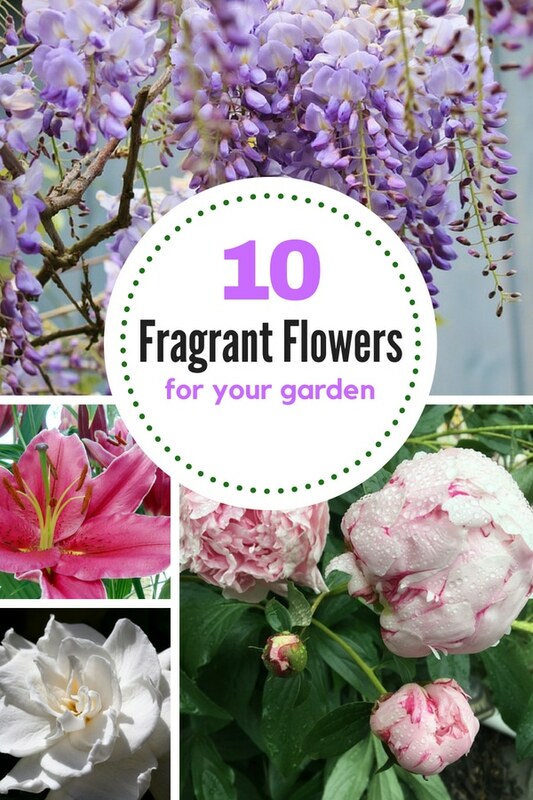 That’s why I put together this list of some of the most popular fragrant flowers. 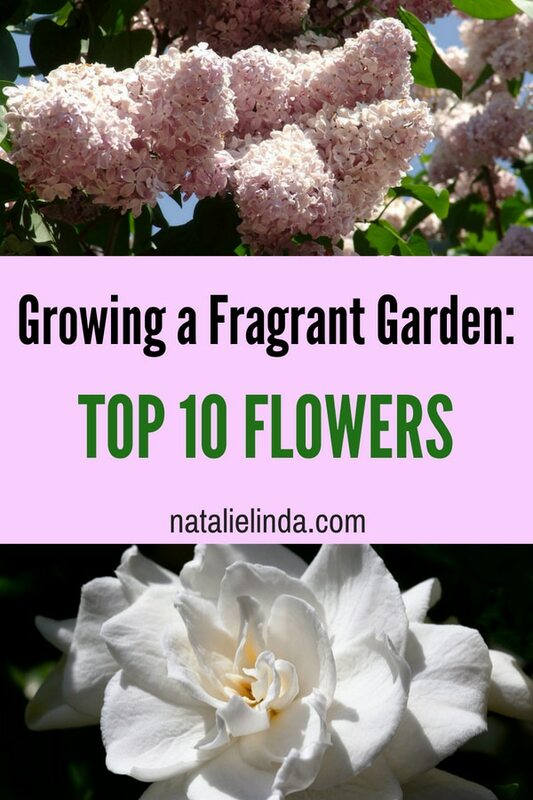 I added a few tips on how to grow them in your garden so that you have some background information before you start planting! Remember, it’s always a good idea to ask your local nursery if you have questions about whether certain plants grow well in your region or zone. They’ll be able to help identify the best options for your climate and give you pointers on how to care for them. The lily isn’t just a stunning, exotic-looking flower. It also produces a strong scent, which is one reason florists so often lilies in flower arrangements! They help awaken the senses! 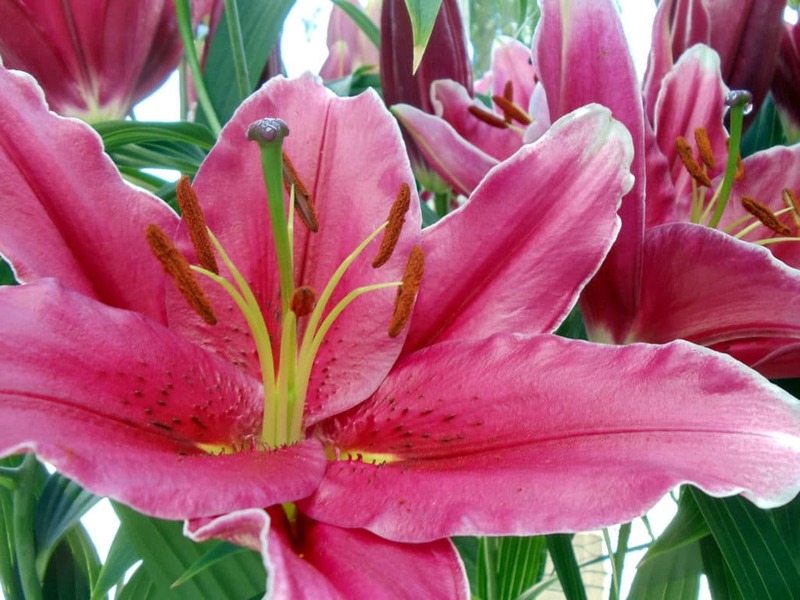 Lilies come in a variety of colors and color combinations, as well as patterns like spotted and striped, so make sure you choose your favorites. Another wonderful thing about the lily is that it’s a low-maintenance perennial, which means it’s easy to care for and will come back year after year! Plant your lilies in an area of your yard that gets full sun, and make sure to provide them with rich, moist soil. For more information on how to grow lilies, check out this post that covers everything you need to know. My godmother had a gardenia bush in her front yard and I’ll never forget the fragrance it gave off. I still associate her house with that wonderful scent. If you’re looking for a flower that gives off an undeniably strong floral fragrance, then the gardenia might be your best option! In fact, its scent is widely mimicked in plenty of perfumes on the market today. 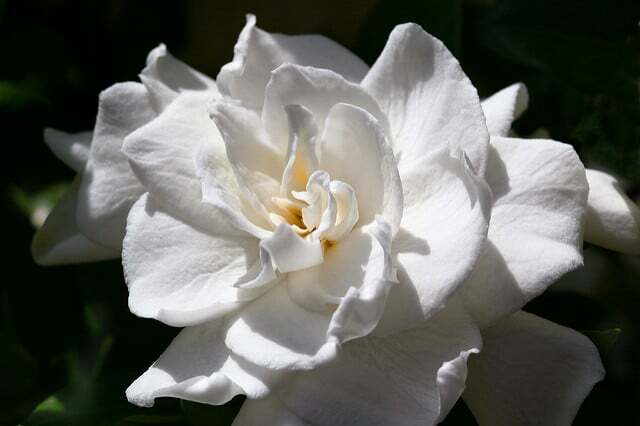 Gardenias do, however, need a little more TLC than most of the other flowers on this list. They like humidity, acidic, moist soil, and protection from the sun. They don’t do well in harsh Winter conditions. If you live in an area that gets cold Winters, try moving your gardenia plant into pots so you can store it indoors until Spring. You’ll also need to make sure that you fertilize the soil monthly from early Spring to early Fall. This will provide them with the nutrients they need to thrive. Make sure to deadhead whenever necessary to encourage the growth of new blooms! Lilac bushes have become synonymous with Spring in many parts of the country. Once you have these bushes growing in your yard, they’ll come back every season for decades to come! While they’re stunningly beautiful, lilacs are pretty easy to care for. Provide them with what they need, and they’ll continue to produce their lovely clusters of fluffy flower petals for you year after year. Lilac bushes need plenty of room to spread their roots, so be mindful of where you plant them. They enjoy full sun and moist, well-drained soil. 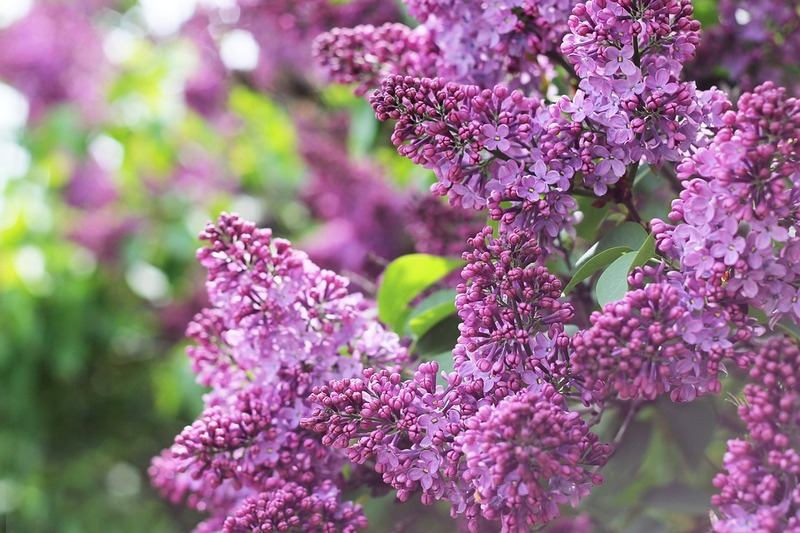 For detailed information on how to grow lilac bushes, take a look at this post! Nothing quite compares to the scent of lavender. In fact, it’s such a unique scent that people often use it as a calming agent and sleeping aide. Give it a try! 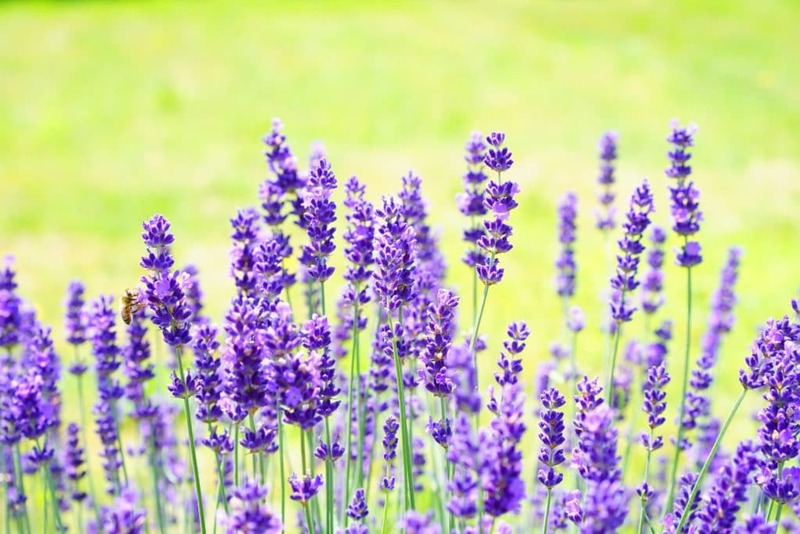 Lavender needs full sun and good air circulation in order to thrive. Be mindful not to overwater this plant, as it doesn’t take kindly to overly-moist soil. Water when you see that the soil has gone dry, as it’s pretty drought tolerant. Plant at the beginning of Spring or the end of Fall before frost appears. You can’t make a list of popular fragrant flowers without mentioning roses! Roses and fragrance go hand-in-hand. They’re symbols of love and sensuality, and you have so many varieties to choose from in way of color and type. 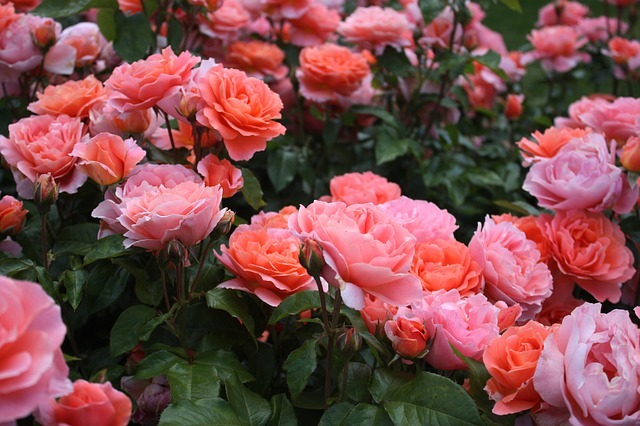 Roses will need a healthy amount of care from you in the way of pruning and watering, so they might not be for you if you don’t like to spend all lof of time in your garden tending to your plants. They need full sun and moist soil. Water the soil generously, but not the actual leaves and blooms, as this can encourage fungal growth. This perennial that blooms in the Summer will provide your garden with a lovely fragrance. Beyond that, freesias are gorgeous flowers that can be found in a variety of rich, vibrant colors such as purple, yellow, red, pink, white, and orange. They’re also great as houseplants, so if you don’t have a yard, you can grow them inside in a container near a window, or on your balcony. Freesias can grow up to one and a half feet tall and can spread out about a foot wide. 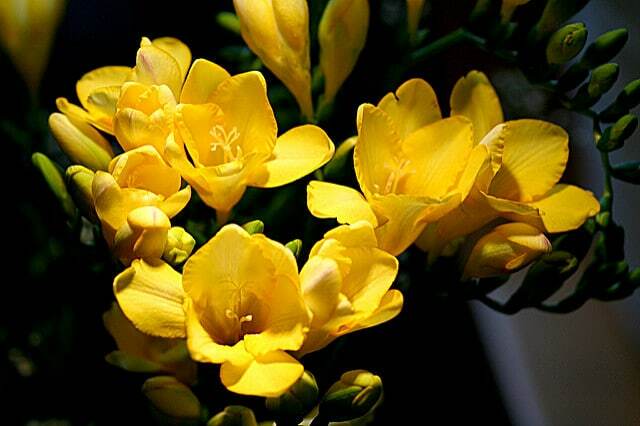 They require full sun to partial shade, so make sure to plant your freesia plant in an area of your yard that gets about 6 hours of direct sunlight each day. They also need moist, well-drained soil in order to thrive. Freesias grow from corms, so plant your corms about two feet deep into the soil at the end of Winter. Come Spring, you’ll fall in love with this flower’s sweet fragrance and funnel-shaped petals! Brides love peonies and it’s not difficult to see why. This flower is one of the most beautiful flowers that bloom during Spring and Summer. The wonderful thing about growing peonies in your garden is that this plant can live up to 100 years in the same spot! Yes – that’s right. Your peonies can be enjoyed by multiple generations of your family! If you think this plant is tough to care for – you’re mistaken. It’s actually a low-maintenance perennial. For detailed information on how to grow peonies, check out this post. Jasmine vine is a fragrant plant that can decorate your yard, trellis, and even your fence. My godmother grows jasmine vine directly on the fence that separates her yard from her neighbor’s yard, and it’s breathtaking! It serves as a beautiful backdrop for taking pictures at family gatherings. The small, fragrant white flowers grow on deep-green foliage, which creates the best visual contrast. Plant them in the Spring or Fall, before frost. Jasmine enjoys several hours of sunlight each day but might need extra protection if you live in an area with especially hot temperatures. It likes its soil moist, but not overly so. Water the soil when you see that it has dried – it is not a drought-tolerant plant. Prune it after flowering. Wisteria is a double threat: it produces beautiful blooms AND a pleasant scent. This tall vine will grow throughout Spring and early Summer and it’ll impress you with its generous clusters of lilac and lavender-colored flowers. Drape it over a trellis or a pergola because wisteria needs the extra support! Plant your wisteria in Fall or Spring, and in moist and well-drained soil. For best results, make sure to plant it in an area that gets full sun. Keep in mind that wisteria is a far-reaching plant, and may quickly overtake other plants. It can also take over exterior walls, which can be problematic, so plant your wisteria on a pergola that’s a few feet away from your house. This delicate flower is known for its unique, slightly draping blooms and shades of ivory. 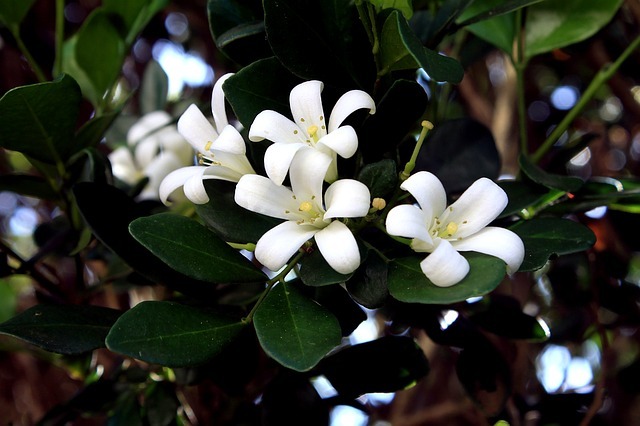 Its bell-shaped blooms are known to be one of the most fragrant flowers. 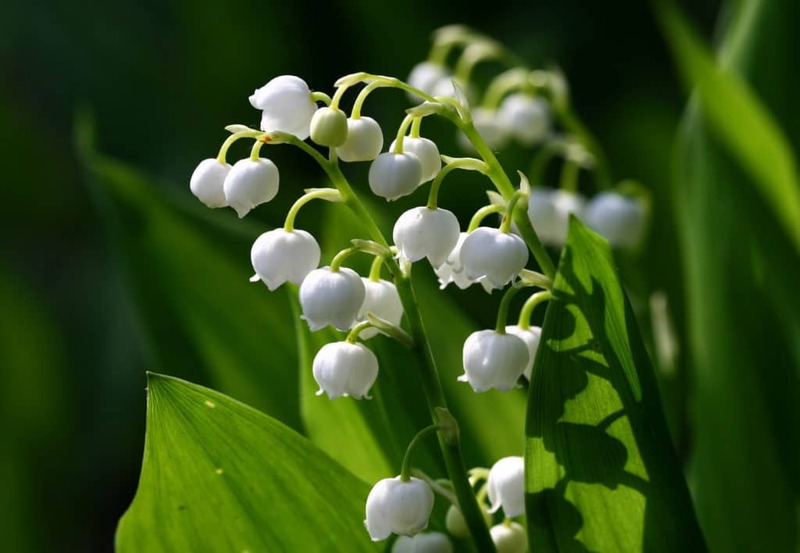 Lily of the Valley blooms from Spring to early Summer and prefers moist soil and partial shade during the day. Plant this beauty in late Fall and water regularly. After bloom, do not cut down the green foliage! I love fragrance perennial plants, I need ideas for plants that blooms in summer, northern Illinois area.